Following the recent call launched by King Mohammed VI to neighboring Algeria for a direct, open and frank dialogue to resolve all the Moroccan-Algerian issues, Morocco made several formal and informal moves to establish contact with Algerian authorities at ministerial level, but to no avail. So, Moroccan Foreign Minister held on Monday (Nov.26) at his department a meeting with Algeria’s ambassador to Rabat to tell him that Morocco remains “open and optimistic” about the future of relations with Algeria and to reiterate Morocco’s request to Algerian authorities to make known, officially, their response to the Royal initiative for the establishment of a joint political mechanism for dialogue and consultation to break the stalemate in bilateral relations. In a speech on the celebration of the Green March anniversary on November 6, King Mohammed had reached out to Algeria saying that Morocco stands ready for a direct and frank dialogue in order to dispel the transient and objective differences that are impeding the development of relations between the two neighboring countries. The Sovereign also suggested the setting up of a joint political mechanism for dialogue and consultation to break the stalemate in bilateral relations, reiterating his commitment to work hand in hand with the Algerian brothers. However, so far Algeria has not responded to the royal initiative, which gained the praise of several countries and international and regional organizations. A Statement released by the Moroccan Foreign Ministry after the meeting with the Algerian diplomat said Morocco can only regret that this invitation has not yet received the expected response, even though it has always been requested by Algeria itself. Despite this situation, Morocco “remains open and optimistic about the future of relations between the two brotherly countries”. At a time when other approaches (regional framework, intermediaries, etc.) have proved unsuccessful, Morocco still hopes that direct human contacts will provide the appropriate response to bilateral differences, the statement said. 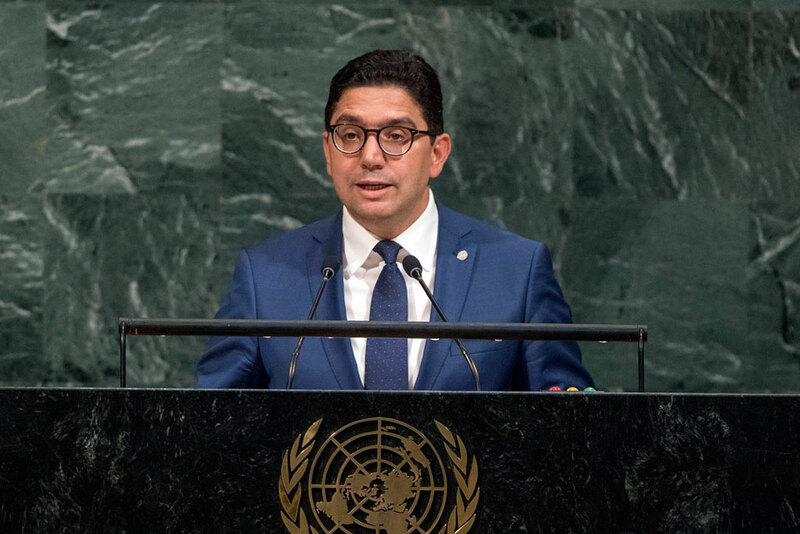 Nasser Bourita reiterated to the Algerian diplomat Morocco’s wish to know the official reaction of the Algerian authorities to the royal initiative to establish a political mechanism for dialogue and consultation with Algeria. The Moroccan top diplomat underlined that the royal initiative translates “a sincere willingness to create a framework for direct and inclusive bilateral dialogue, to resolve all disputes between the two countries, relaunch their cooperation and consult each other on regional and transnational challenges,” the statement added. Regarding the recent proposal by Algeria and Tunisia to convene a meeting of the Foreign Ministers Council of the Arab Maghreb union (AMU), the statement said Morocco took note of the AMU Secretary General’s letter related to this meeting but deems the AMU-related request is unrelated to the Royal initiative. The royal initiative is related purely to Moroccan-Algerian bilateral relations, while the Algerian approach is part of the relaunch of the AMU regional edifice, Bourita said. He added that the state of lethargy that has been affecting AMU for years is essentially due to the abnormal nature of Moroccan-Algerian relations, which can only be addressed through bilateral, direct dialogue, without intermediaries. Besides, the Maghreb Union and its member States have persistently called for a Moroccan-Algerian dialogue in order to transcend their differences in a spirit of neighborliness and a common aspiration to raise themselves to the level of the expectations of the five Maghreb peoples. Morocco, which remains committed to relaunching the Maghreb Union on sound and solid foundations, has no objection, in principle, to holding a meeting of the AMU Council of Foreign ministers and has reacted constructively to the proposal. Nevertheless, Morocco doubts that this 35th ministerial meeting can achieve any tangible results, different from the 34th meeting, in the absence of a good preparation and a responsible direct dialogue between two AMU member States. Posted by Khalid Al Mouahidi on November 27, 2018. Filed under News. You can follow any responses to this entry through the RSS 2.0. Both comments and pings are currently closed.